For visitors who want to enjoy the full experience in Seoul, Hamilton Hotel Itaewon is the right choice. The city center is only 2.5 km away and can reach the airport within 70 minutes. No less impressive is the easy access to the numerous attractions and landmarks, such as Itaewon, Stn. K / fire BWH Itaewon Land, U.S. Army Garrison. The facilities and services provided by the Hamilton Hotel Itaewon ensure a pleasant stay for guests. When staying at this beautiful property, guests can enjoy safety deposit boxes, shops, elevator, business center, smoking area. Experience high quality room facilities, including coffee / tea maker, internet access (wireless), air conditioning, satellite / cable TV, wireless internet access (free of charge), to help you unwind after a long day. Whether you are a fitness enthusiast or just looking for a way to unwind after a hard day, you will be entertained by top-class recreational facilities such as outdoor pool, massage, sauna, fitness center. 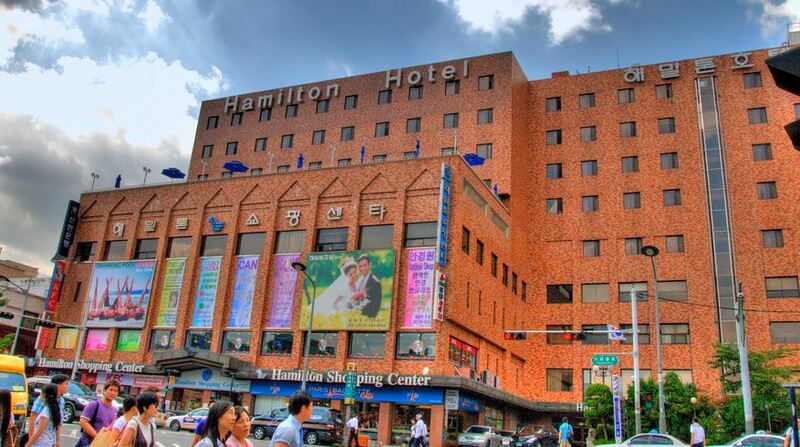 With an ideal location and facilities to match, Hamilton Hotel Itaewon is very satisfactory.